K.I.S.S – Keep It Simple Silly – especially if you are a teen boy. We all know our young men would much prefer burning off the calories or mastering their moves on the Xbox to perfecting a hair care regimen. So it’s important, in order to maintain healthy hair, to ensure that it’s a simple as 1 – 2 – 3. We have perfected the art of the 1 – 2 – 3 hair care routine. Step 1: Oil – when hair is wet out of the shower(assuming washing and conditioning is a part of the bath routine). Oil is the “O” in the L.O.C method – used to seal in the moisture in the hair strand. 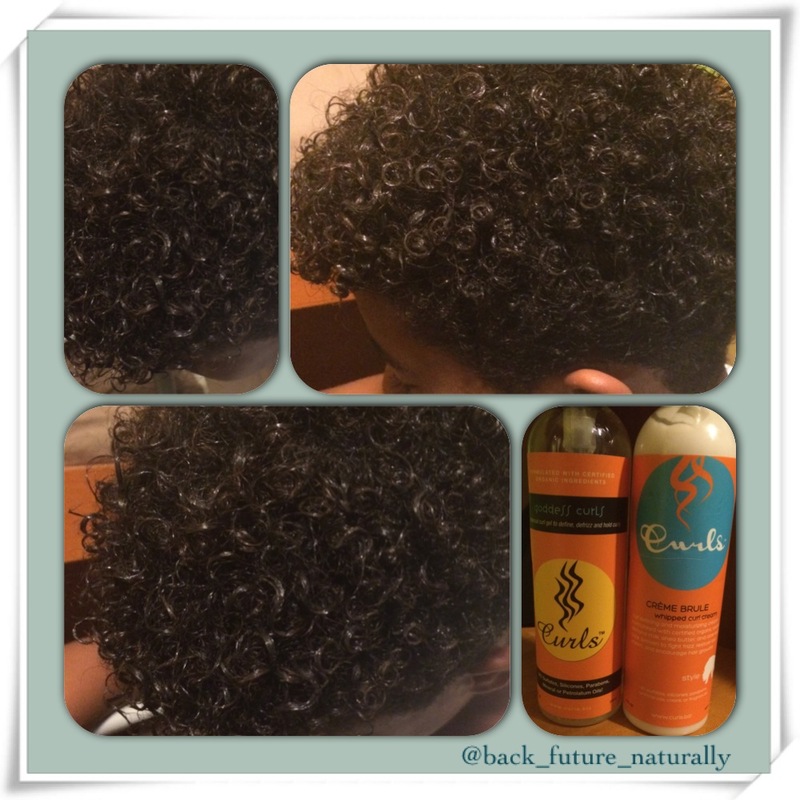 Step 2: Cream – moisturizer/styler/curl definer. This is the step that makes your curls pop. Boy, girl, man, woman or child, if you have curly hair it’s critical that your curls POP! We used Curls Crème Brule to achieve well defined and moisturized POPPING curls. Step 3: Gel It –to guard against humidity, sweat (with boys yeah, that’s a given), clothing over head general life, gel it to lock in those fresh moisturized curls. Depending on your hair texture/type you may need to use your hand to maniupulate or coil the hair. Alternatively you can use a brush in a circular motion to define more coily hair – brush coils. And Voila – easy as 1 – 2 – 3!